One year older, One year wiser … but I’ll always hold it, forever young! It’s become a tradition now to write a post just before my birthday – about me – and share it with the world … oh well! Ok, this is utterly exciting … I love the feeling and I love February 1st … it’s a hot date. So when it’s your birthday do you grow a tad bit taller? or what happens? very rhetorical question. So my age adds a plus one … Yikes! A while ago I used to find people saying they are the age I’m turning and I used to think … “Gosh you’re old!” Ummm! Now I’m there so I’ll feel pretty weird saying the age. A year is actually passed … 23 was a year and a half (no wonder it’s an ODD number). So much has happened in it, the good, the bad, the ugly, the beautiful but one thing still stands, that I’m still me and I haven’t changed a tad bit. Maybe for the better, which is what I plan to carry forward. Having managed to achieve a couple of stuff that I even wouldn’t have thought I would. I think this year has gotten me to be mature. This year I’ve basically learnt to take care of myself in the very essence of it, which I think in life is a lesson one needs to learn … the easy way of the hard way. Thank God I didn’t have it rough, at least now I know I can be sure to take care of others. I just want to be happy … like genuinely happy. I pray that the people who will be around bring me happiness and lots of love hehe yeah love, and I will be sure to reciprocate. I would want to be the best at what I do … it’s not the easiest thing in the world, especially when you have to be creative and think outside the box. I pray that God opens up my mind this year and many to come, because I love what I’m doing now. I would want to make better decisions, to make the right choices as hard as it can be … I hope this year I make stuff right! I want to be more of a Christian, does that make sense? I want to read more of my bible, go to church on Sundays and find myself in God … you know how we struggle so much in life, and all you probably need is just a short prayer calling out to God to sort you out. And he’s always got you, so I want to put him 1st in everything. 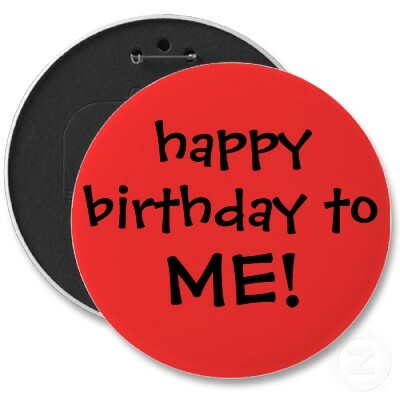 For those who wished me, are wishing me, will be wishing me happy birthday … MUCHAS GRACIAS! I love y’ll like you wouldn’t believe it. Friends and family are God Given, and I think the world would be a monster without you!